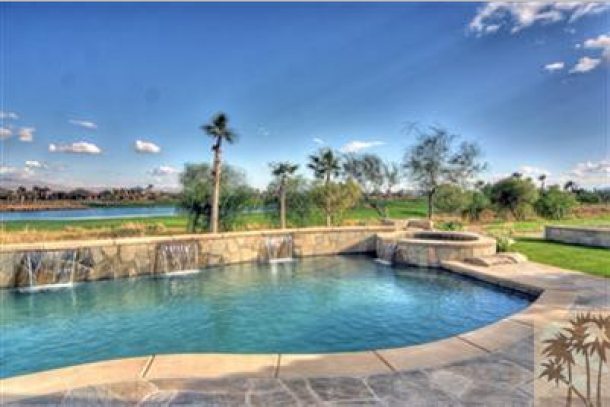 The Hideaway Golf Club is a wonderful luxurious golfing community spanning out across 600 acres in the La Quinta area. There are two championship golf courses, which were designed by Clive Clark and Pete Dye. 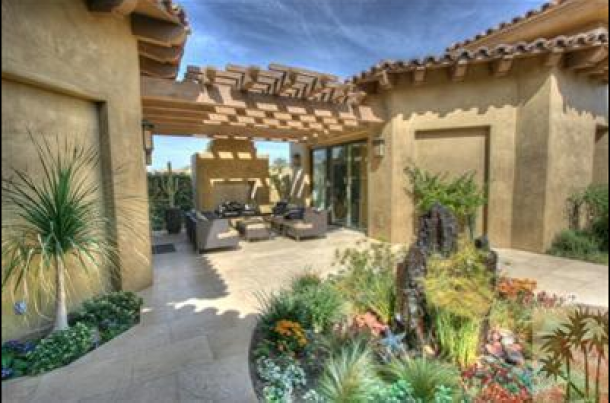 The Hideaway, offers upscale living and estate homes designed with a custom or semi custom feel. It depends on what your prefer and what you want to make your experience here as special as possible. 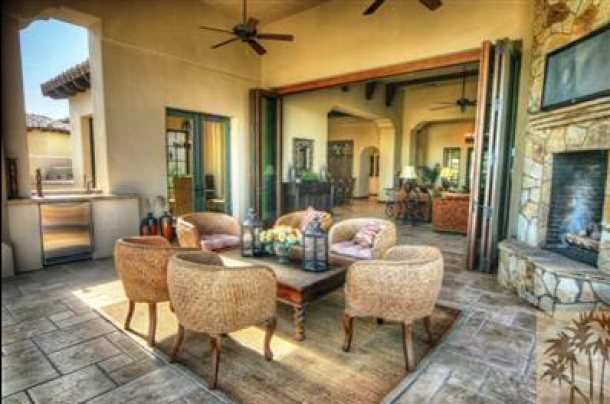 The Hideaway Golf Club is selling its available residential areas quickly. It is becoming a popular place for individuals because of its excellent service and wonderful amenities offered to members and their guests. Most importantly, its popularity has grown because of the amazing social life the club offers to anyone who takes the leap to live in this community. Members of The Hideaway in La Quinta community range in age from middle thirties upwards to the eighties. The club, itself, is one of the younger clubs in the Valley. It offers a breathtaking view of the Santa Rosa Mountains and challenging golf experience with two courses of play. Not only can you experience a great game of golf with associates or friends, you can enjoy the relaxing atmosphere all around this desert location. 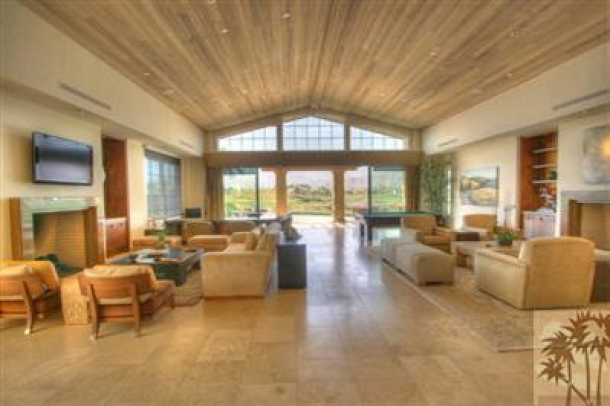 The Clubhouse is designed to inspire a Spanish style feel. Located inside is the exclusive spa, restaurant, gym, and wine room. The wine room is available to accommodate 20 individuals comfortably for private parties and other special events. Golf outings and theme parties are only a small sampling of the social life to be experienced at The Hideaway. Golf is the main sporting experience at The Hideaway Club but tennis offering a world class professional is available in season. This grand combination of golf and luxury is found only at The Hideaway. It is time to take the chance on having a full and complete lifestyle with all the amenities and social happenings here. One can only imagine how the social lifestyle and great golf courses can compliment each person who chooses to live int his bright and thriving community for all ages and walks of life. The Hideaway Golf Club, exclusive, beautiful, amenities and benefits galore, is all available for the taking. 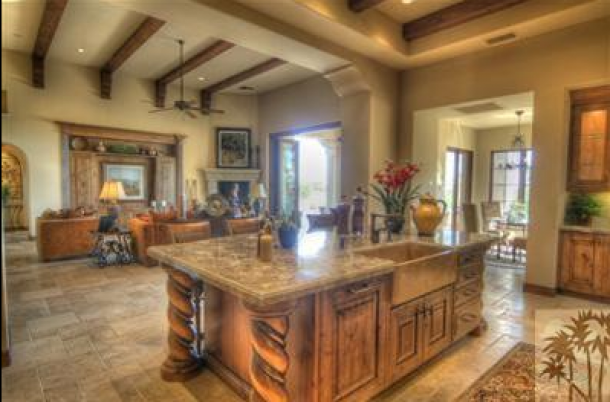 Luxury can be found in its custom homes, bungalows, villas, or a new home can be built on one of the home sites. The generosity of the horizons at this resort community is unmistakably gorgeous and breathtaking. The golf amenities at The Hideaway Golf Club, as well as the many other amenities of service, make this club and its homes and incredible value. Come join The Hideaway Golf Club, luxurious as a resort, but remarkably as comfortable as home. If you would like to see property at The Hideaway Golf Club, please call us at the numbers below. Were committed to helping you find the home of your dreams.